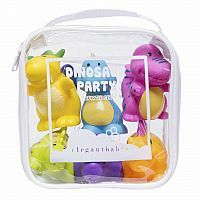 Get ready for lots of fun in the tub, as the party doesn't have to end when it's bath time for your little one! 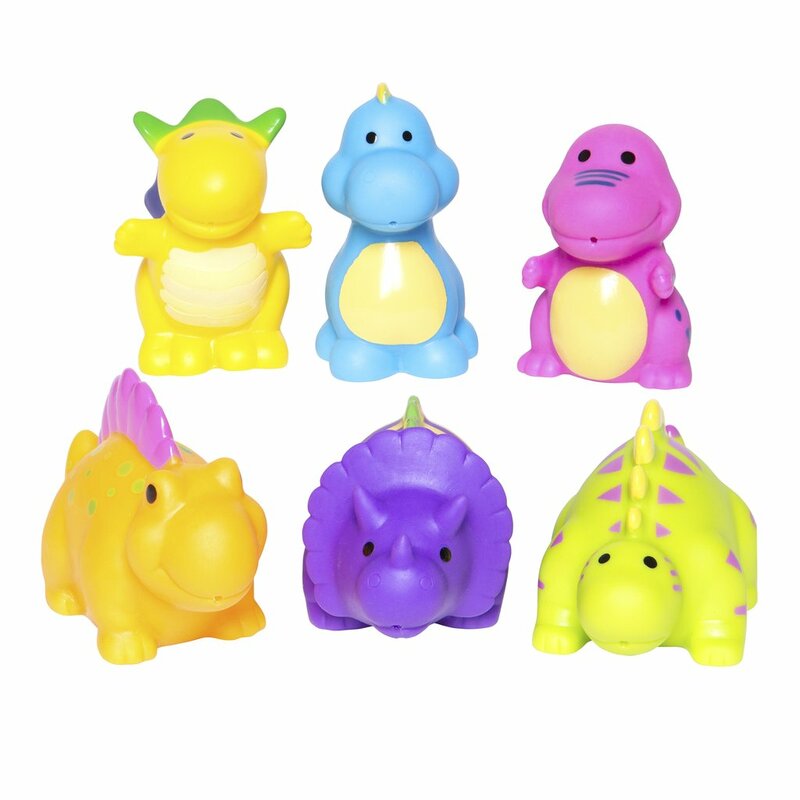 Dinosaur Party Squirties are perfect for beach and pool time, too, because our Party Squirtie sets float and squirt water! 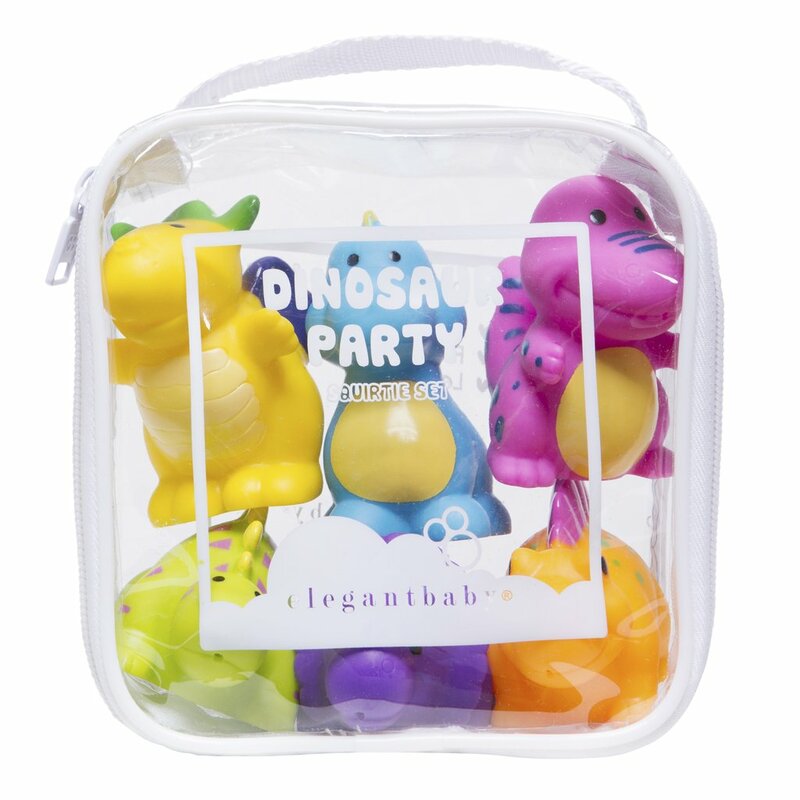 Every baby explorer will love visiting prehistoric times with our Dinosaur Party Squirties pack, which includes a Stegosaurus, Dimetrodon, Triceratops, T-Rex and more. 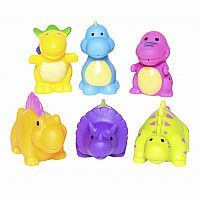 - As with all water toys, product lifespan can range from months to years, depending on care and environment conditions. When in doubt, please replace!